WRAPUP: What a fun event!! The weather was perfect for some Motoring and outdoor visiting. 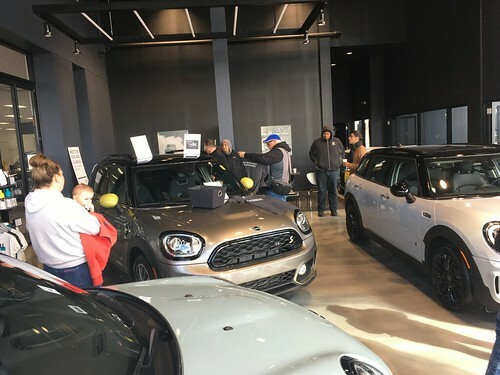 We had 10 MINIs assemble in DeKalb including a brand new MINI Coupe just hours off the dealers lot, and a couple MINIs in costume. After a bit of hangout time, we took a visit to a nearby Corn Maze/Pumpkin farm. Afterwards we all headed back to the Trostles, and enjoyed a delicious meal, snacks, deserts, and drinks in a very festive house, and also enjoyed hanging out by the backyard fire pit. Huge thanks to Jerry, Laurel and Sarah for hosting such a great party!! 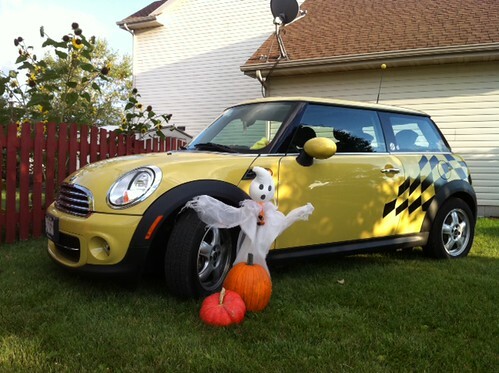 CMMC members Jerry, Laurel, and Sarah have invited the Chicago MINI Motoring Club out to their home in DeKalb to celebrate Halloween this year. Enjoy food, drink, desserts and a trip out to an area corn maze!! October is a great month for Motoring.. The weather is still nice, the summer crowds are gone, and the leaves are starting to turn. 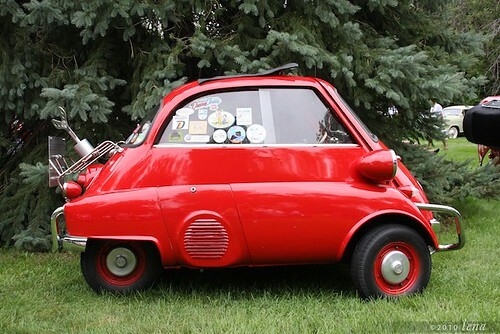 There are lots of area MINI events out there for October besides our Microcar Museum visit on the 1st and Halloween party on the 22nd. WRAPUP: What an incredible event!! We had a little bit of trouble with our original planned starting location, but after a couple moves we secured a hassle free meetup spot. We took a short scenic drive on some twisty roads and were then given the ful VIP treatment at the museum. We were treated to donuts and soft drinks, and a full and detailed tour of the workshop and museum areas, with a history of most of the cars in the collection. Words cannot do justice to describe the interesting cars, so take a look through the pictures below.. Huge thanks to Ken for being such a gracious host to our club, and to Arnie and Lena for helping with the arrangements.